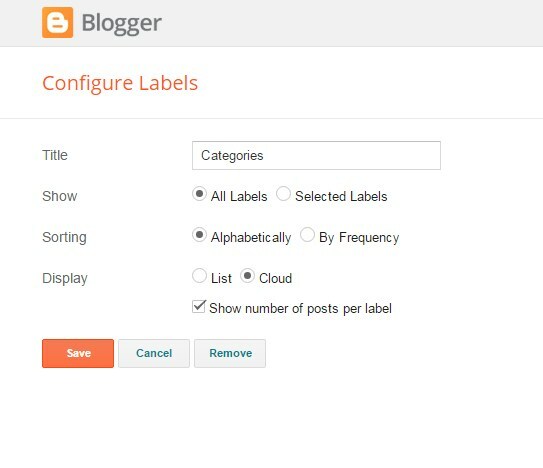 Cloud Label is a official blogger widget and provided by them only, So today we are going to learn How to Add Stylish Cloud Label Widget In Blogger, This widget will help you to categories your blog content in perfect and standard way. it also helps to manage your blog bounce rate in control. Lets move further and see How to Add Stylish Cloud Label Widget In Blogger. You can check a live preview of the Author Box widget by clicking the button below. The First thing you need to do is to login into your Blogger account and go to >> Layout >> Add Label Widget From the Layout and put the settings same as the picture below. In the template, search for the ]]></b:skin> tag and just above it paste the following Coding. Note :- The following Css only works for Cloud Label Widget if you put the setting for List label it will not work properly. Congrats !! You have made it. now you have learned that How to Add Stylish Cloud Label Widget In Blogger. Visit your blog and check the awesome widget live in action, hope you liked this tutorial, if you enjoyed then please share it with your friends, we are working hard to develop more such awesome widgets please stay tuned with Us. Arrivederci !! (Goodbye in Italian). Your template already has a custom label design.